The Walt Disney Archives exhibit — currently on display at the Ronald Reagan Presidential Library & Museum in Simi Valley, California. 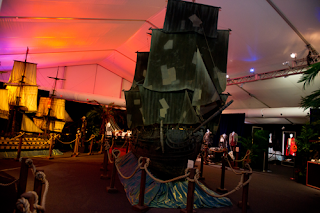 The exhibit, which is the largest the Walt Disney Archives has ever curated, features more than 500 artifacts from 90 years of Disney history — many of which had never been seen by the public until now. 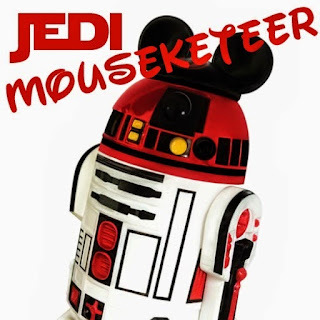 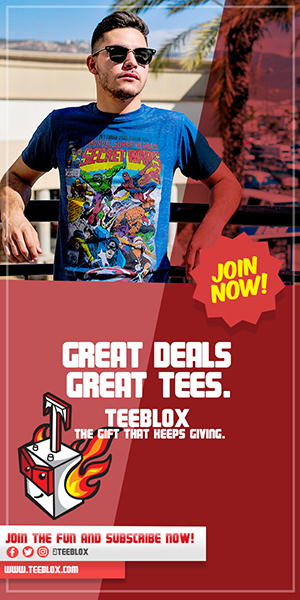 Visitors can enjoy everything from Disney artwork and models to breathtaking set pieces from some of Disney's biggest blockbusters. Having begun my Disney career at Magic Kingdom in Walt Disney World, I really love the exhibit dedicated to The Hall of Presidents attraction. 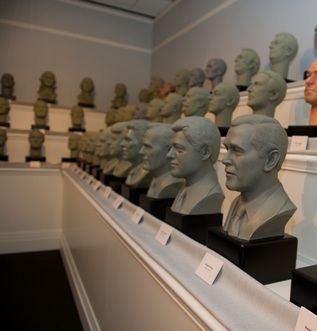 Here you can see the intricately sculpted busts of all 43 individuals who have served as U.S. Presidents — created for the Audio-Animatronics figures seen in the attraction. 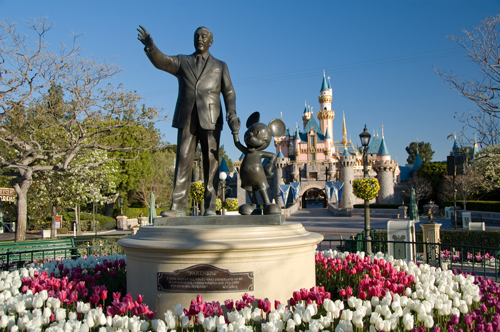 The busts were created under the direction of Disney Legend Blaine Gibson, who's had his creative influence in Disney classics like the Pirates of the Caribbean attraction, Mary Poppins, and most notably, the "Partners" statue we see throughout Disney parks. 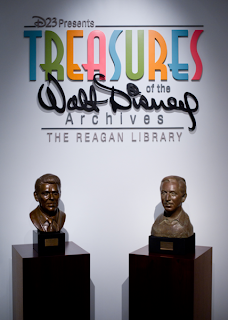 The Treasures of the Walt Disney Archives exhibit is on display until April 2013 – so be sure to check it out if you're in the area!